The best way to get to know a community is by scheduling a tour. See the facilities, meet the staff and residents, and get a feel first hand what it's like to live at Prairie Hills Des Moines Assisted Living. Relax, live better and enjoy your life! 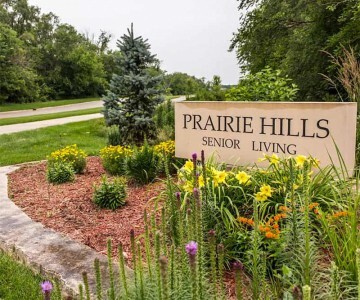 Prairie Hills Senior Living has it all: wonderful apartments, expansive common living areas, game rooms, restaurant-style dining and wonderful people to give you a hand if needed. When you choose to make Prairie Hills Assisted Living your home, you have chosen more than an apartment, you have chosen a place where friendliness, compassion and happiness are a way of life.